One of Ghana’s best players Kwado Asamoah has been chosen to play for the Black Stars for the first time since his last appearance in 2014. Asamoah has been playing for top Italian club Inter Milan since May but was a regular at Juventus for six years before moving to Milan on a free transfer. Back in 2014 when he took a self-imposed sabbatical and also had injury problems which hampered his international career. 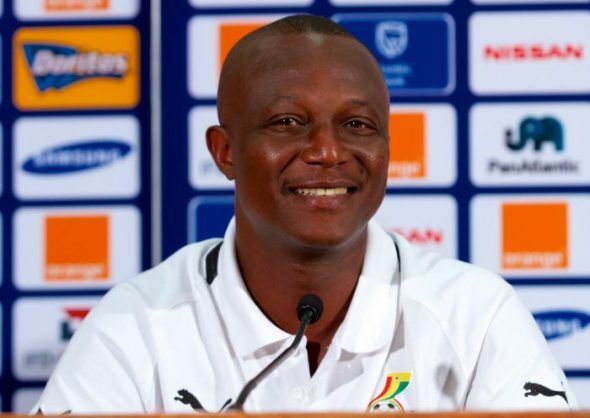 Ghana’s coach Kwesi Appiah named Asamoah in a 21-man squad for the Africa Cup of Nations qualifier in Kenya on September 8. Asamoah last played for Ghana against Portugal at the 2014 World Cup in Brazil. The 29-year-old has turned out for Ghana 69 times since his debut in 2008 and represented the country at the 2010 and 2014 World Cups. Forwards: Raphael Dwamena (Levante UD, Spain) Thomas Partey (Atlético Madrid, Spain) Majeed Waris (FC Nantes, France) William Owusu (Antwerp, Belgium).